It’s been a while since I last wrote… A few days, weeks, months… I’ve been out of it. My emotions, feelings, thoughts, ideas, took a hold on me. I have no idea how many people read this, what country you are in, where you are, what you’re doing, what you’re feeling at this very moment, but what I do know, is what I’m feeling at this very moment and I’d like to share a piece of me with you today. This year has been intense. I’d sum it up as a huge, massive, wake up call. That’s how I feel and perceive the energy at this very moment. Today, Friday 30th December at 12:12pm whilst I’m sat on my brown sofa at my place whilst listening to The Verve. I’ve got this weird feeling. Goosebumps, I’m sweating but my hands are freezing cold and my body is telling me something… I’m breathing in and out heavily… I’ve got so much to write and stuff I want to share and express, I don’t even know where (I got interrupted exactly here with a phone call I had to answer) to begin. On April 24th 2016 I went to a festival here in Mexico City called Vive Latino. I was working so I didn’t see many bands play, I saw a song or two of a few artists, but I did get the chance to see a band play from beginning to end… That band was The Prodigy. So, I saw The Prodigy for the first time, live, on Sunday 24th April 2016. I would say that every single day my life changes, I learn something, feel something new, experiment, and so on… but that Sunday will remain within me FOREVER. I was totally sober… I had half a beer since I arrived at the festival (1:oopm) until the time I saw The Prodigy. What I’m trying to say is… that what I felt and saw was completely real, Nicole experienced the whole situation being Nicole. After that… I couldn’t sleep properly. I’m going to take a break and I’ll be back in a little while. 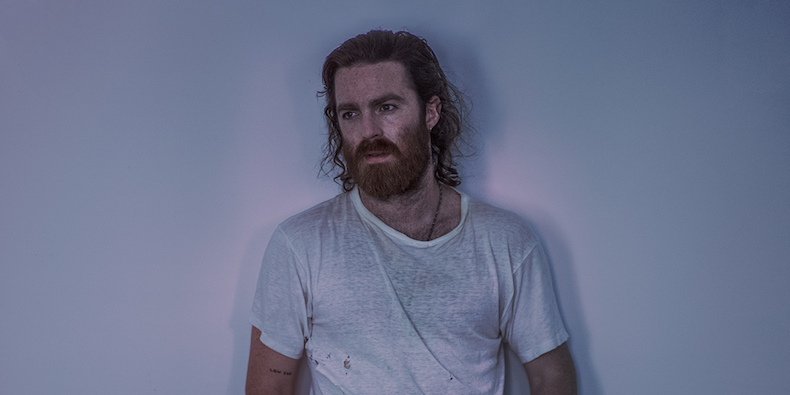 In September, Chet Faker announced that his next record would be released under his birth name Nick Murphy. He said the following: “It’s been half a decade since I started releasing music as Chet Faker and all of you have been the driving force behind the music since. There’s an evolution happening and I wanted to let you know where its going. The next record will be under my own name, Nick Murphy. Chet Faker will always be a part of the music. This is next”. Nick Murphy, released another track from his new project, today. The 28 year old Australian electronica singer and musician released his studio album Built on Glass back in 2014 with tunes such as Talk is Cheap and 1998 (As Chet Faker). This 2016, the Aussie came back as Nick Murphy and has brought out a few tunes heres and there. Check out Nick’s Stop Me (Stop You), released a few hours ago, here! Swedish band The Radio Dept. are back. Running Out Of Love is the bands 4th studio album and it talks a bit about life in Sweden and how this year things are moving in the incorrect direction; politically, intellectually and morally. The problems and situations the boys sing about aren’t necessarily just “apt” for Sweden but for countries all around the world. The album was released on the 21st October and has 10 absolutely stunning songs on it. Have a listen to We Got Game, one of the singles the band released off the new album a few weeks ago. One of the most incredible front ladies I’ve ever come across is Teri Gender Bender. 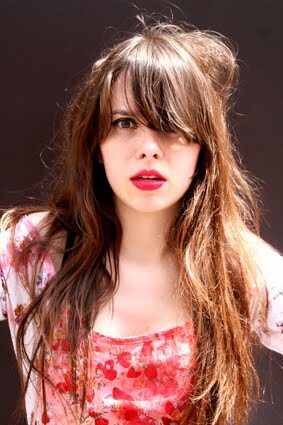 Teri (Teresa Suarez) was born in Denver, Colorado and moved to Guadalajara at a young age. 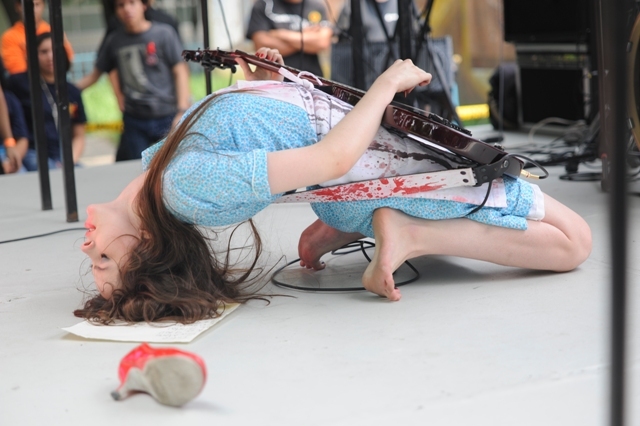 Teri is the founding member, lead singer and guitarist of Le Butcherettes. She also has a lot of side projects; such as Bosnian Rainbows and Crystal Fairy alongside The Melvins and Omar Rodriguez-Lopez who actually also released Drugs on the Bus a few days ago. She recently released the video for her latest track My Mallely and apart from loving the video, the song is incredible! (you can see her attitude and passion in the video). Bruno Mars is back with 24K Magic! The video was filmed in Vegas – I mean talking about money and all that, what better place to film the video than VEGAS?! 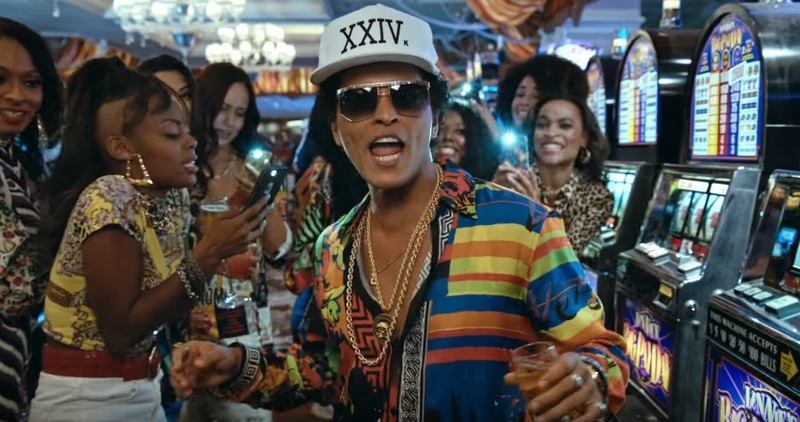 Gold chains, slot machines, girls, money, funky clothes and Bruno’s dance moves are back! Since I discovered Nicolas Jaar and all of his projects, I felt something unexplainable. From A Time For Us and Avalanche (alongside Sasha Spielberg) to his Darkside project. On the 14th October, Chilean artist Jaar will release his LP, Sirens. (It’s already available digitally). The CD has 6 tracks on it and flows absolutely beautifully from one song to the next. Last year, Grimes (one of my fave female solo artists) released her 4th studio album, Art Angels. The Canadian lass recorded the album in its entirety at her home in L.A after realizing it was too much pressure renting and paying out a studio per hour. I’m a huge fan of this album in particular and I’ve watched every video of hers, but, yesterday Claire Boucher (AKA Grimes) released something VERY special. Got a little over 38 minutes to spare? If not, make time, it’s worth it! Nature, art, architecture and freedom has never looked so fine. Frontman and guitar player of Kings of Leon – Caleb – is a very attractive and talented man, but, in their latest video Walls you can see way beyond all of that. At the beginning of the video, you can see Caleb from a far sat on a chair playing his guitar, as the song advances, so does the camera… I don’t want to spoil it for you… So, please have a look at the video and watch it until the very end. I personally loved the song, and the video is perfect for it. Very relaxing yet extremely deep. I’m Sure and Certain that Jimmy Eat World have won me over, again! American rock band Jimmy Eat World formed in Arizona in 1993 and some of their anthems became classics. Remember their song The Middle? Well, I love it… and so does Taylor Swift! On October 21st, they will release their 9th studio album called Integrity Blues. The album was produced by Justin Meldal-Johnson (has previously worked with Nine Inch Nails and M83). The album has 11 tracks on it and so far two have been released; Get Right and Sure and Certain. Have a look at the lyric video for Sure and Certain, here!